Check out this tasty tabbouleh salad recipe here. The delicious and vibrant taste and wonderful healing properties of parsley are often ignored in its popular role as a table garnish. The small curly and flat leaves are packed with vitamins including: vitamins K, C, A, B1 and B3; iron, copper, potassium, calcium, fibre, magnesium, zinc and many more! 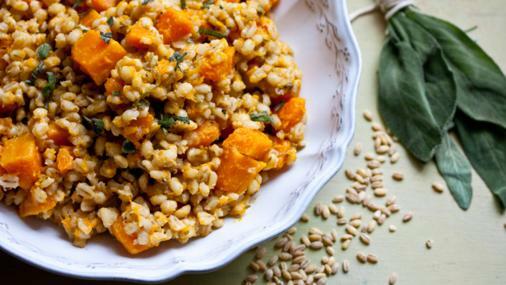 Check out this recipe here for a pearl barley, butternut squash & sage risotto. Sage gets its name from the Latin word Salvere, which means “to save.” It had a strong reputation for its healing properties during the middle ages, and was even used to help prevent the plague. Current research indicates that sage may be able to improve brain function and memory. 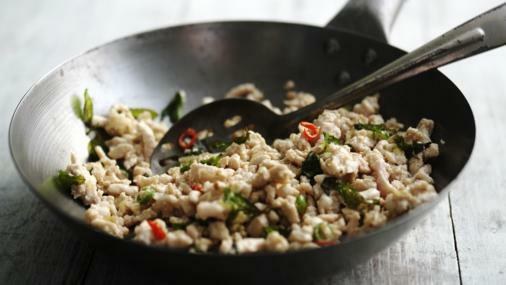 Check out this Turkey mince stir fry with holy basil recipe here. Not to be confused with regular basil or thai basil, holy basil is considered a sacred herb in India. The health benefits of holy basil, also known as tulsi, include oral care, relief from respiratory disorders, as well as treatment of fever, asthma, lung disorders, heart diseases and stress. Check out this rosemary potato wedges recipe here, for a great alternative to chips. As well as being used as a culinary condiment, it is also used to make bodily perfumes, and for its potential health benefits. The active ingredient in rosemary is called rosmarinic acid. This substance has anti-inflammatory effects that appear to suppress allergy symptoms and reduce nasal congestion. Rachel is passionate about keeping fit and healthy, and wants to dispel the idea that eating healthily and going to the gym has to be expensive. She will be bringing you recipes, ideas and food-shopping tips to keep you in shape on a budget.